The Oreck name has long been synonymous with clean, and in 2009, David Oreck started a new company with his name: David Oreck Candle Co. Headquartered in Louisiana, David Oreck Candle Co. candles are hand-poured in North Carolina from an exclusive vegetable and soy-based formula for a natural product. This petroleum-free formula means a smokeless, soot-free, clean burn. The formula is also able to help eliminate odors rather than mask them–DMO Technology, which means Don’t Mask Odors. It has a wide, lead-free wick which is natural and helps the candle burn more efficiently. The soy-based wax burns evenly. The 16oz candle can be expected to burn for approximately 100 hours, and the 22oz candle can be expected to burn for approximately 120 hours. I love candles and I use them for a variety of reasons. Sometimes, I just want to relax and smell a particular scent, candlelight can create ambiance in the evening, and candles are great at filling a room with a delightful aroma. I also want high quality candles made in the USA, with lead-free wicks, long-lasting burn time, and be soy-based for a cleaner burn. When I received the David Oreck Candle Co. Pure Air Candle, it checked off all of my wants, so I put it to the test. 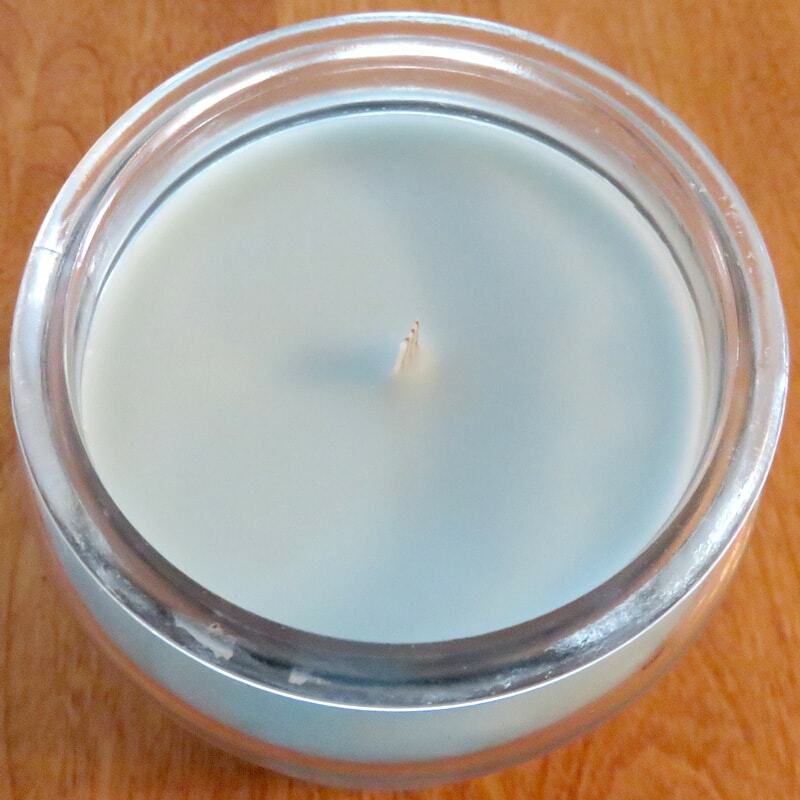 I opened my candle, and it had a nice, clean and natural scent: Ocean Breeze, which was a lovely shade of blue. When I lit it, the flame didn’t sputter or flare, the candle burned evenly, and the color didn’t change as it melted. The scent remained natural and reminded me of vacations spent at the beach. After letting it burn for a few hours, I extinguished it, and the pleasant scent remained for hours. I burned it again while cooking, and there were no lingering odors from dinner after I extinguished it. The David Oreck Pure Air Candle really impressed me. 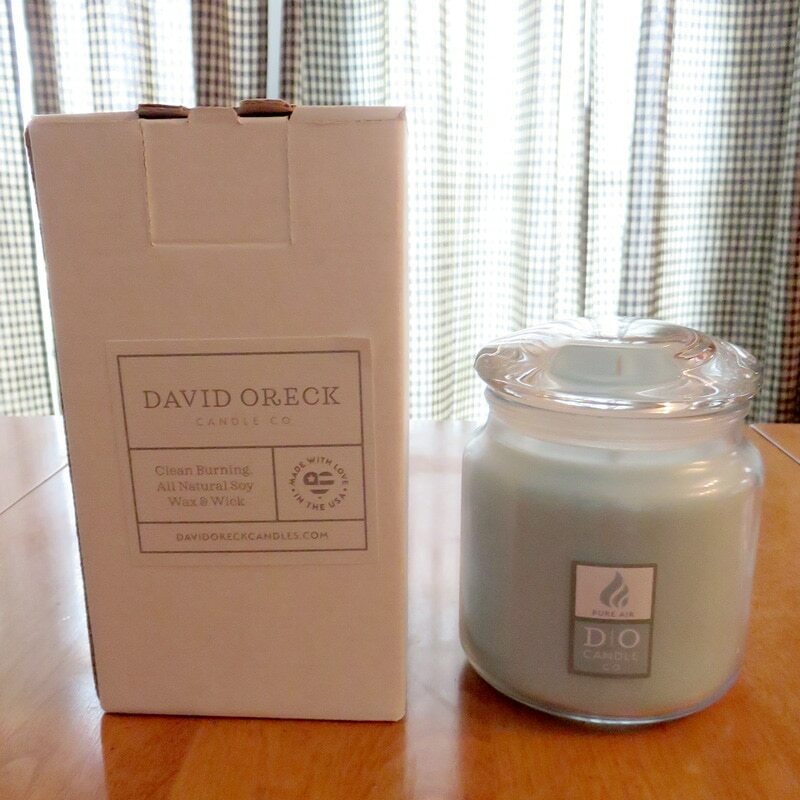 The David Oreck Candle Co. products include odor eliminating candles—this is the one I received, soy-based scented candles, scented wax cube melts, electric wax warmers, and plug-in wax warmers. There’s a product for every room in the home. They have a large variety of scents; you’re sure to find a favorite to match your mood and room. Visit the David Oreck Candle Co. website at www.davidoreckcandles.com to shop their entire candle collection. **Please be sure to burn candles responsibly—don’t leave them where children can reach them, and don’t leave them burning unattended. 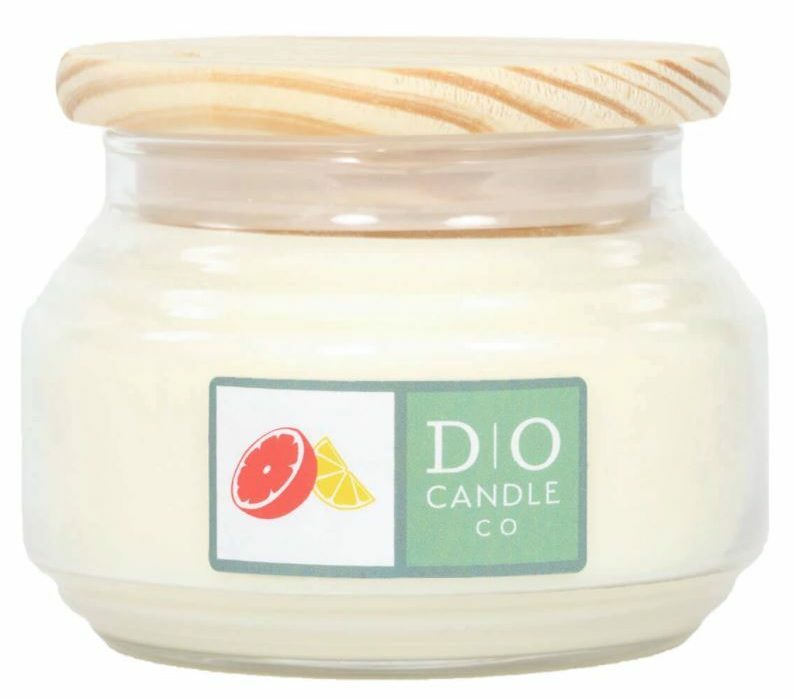 Enter below for your chance to win a 10oz Essential Oils Lemon & Grapefruit Pure Air David Oreck Candle – a $22.50 value! I love that David Oreck candles use essential oils. I especially love sandalwood. It’s nice to have all natural scents in the home. I like that their candles burn clean! 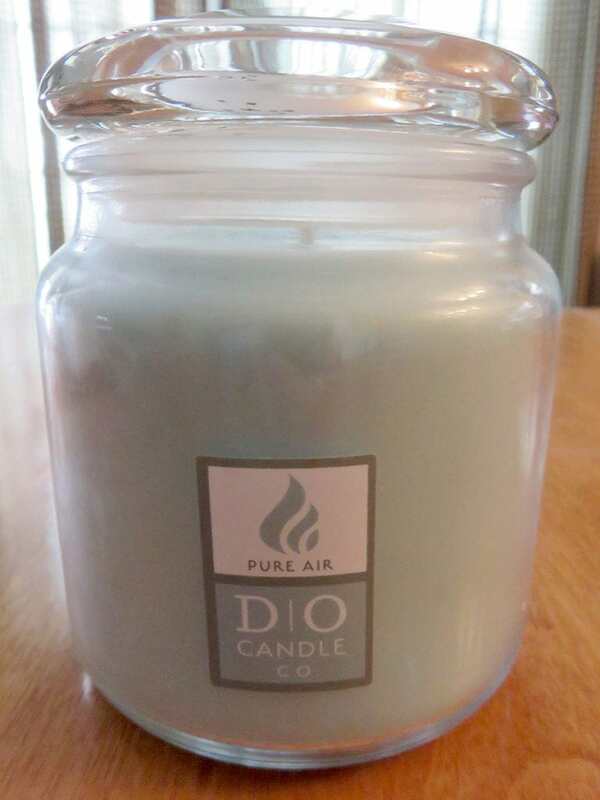 I like the Pure Air Odor Eliminating candles to keep my home fresh smelling. I like that David Oreck candles have lead free wicks. I like that they use essential oils. I would love one with a relaxing scent. I like that the candles last a long time. I like the fact that these candles are soy based. Also, I like that they have odor removing candles. I look forward to trying these. I really like that these candles are clean burning. I saw they were soy. I also like that they are Oreck, a name I trust. I like that they burn soot free. And, the candles are a reasonable price. Thank you for the chance to win. I like that they are simple scents. Absolutely love seeing candles that use 100% essential oils! The combinations are lovely! I love that they last a long time! I love how the candles last a long time. I like that they have essential oil candles and are clean burning! The odor eliminating candles sound amazing with having 4 cats in the house I want to try there candles. I like that these candles burn clean. I really like their wax warmers. I like using warmers and candles. I love that these candles are clean burning and eliminate odors. I love the scents that the candles are available in. They all sound like nice, clean scents. I would like to try the Rugged Collection candle set. I like that the candle burns evenly. I love that all the candles are poured in the US and that they burn for over 100 hours! I like that they sell candles by the case because my sister and I burn a lot of candles. I love that its soy based and eliminates odors! I like that its clean burning. I love that the have pet odor eliminating candles. I like that they are made from soy wax so they burn cleaner! I like the DMO (Doesn’t Mask Odors) Technology. Simply covering a strong scent with another strong scent is often worse than the original bad scent to begin with! I love new scents for my home, thank you so much! I like that their pure air odor eliminating. I appreciate that David Oreck candles burn so cleanly. So many candles leave a sooty after burn. I enjoyed searching through the website – I really like the simplicity of the products and site. I think the candles will pack a powerful scent, even though the look so simple. I like the ease of finding everything and overall David Oreck Candle Co looks promising. It looks like it’ll be worth the price. I am very interested in the scented cubes if they are infused with Essential Oils as well. I love wax melters! I like the clean burn of the candle! I like their odor eliminating and natural formula. Grapefruit and lemon are my favorite fruits! Need to win! I love that these candles are made with essential oils!!! this means amazing long scents! I like how these candles burn cleaner and eliminate odors better than the others. I like the unusual scents and that they are soy candles. They are clean burning with essential oils. I like that they aren’t full of chemicals, its clean burning. I love the essential oils, I’ve been trying to get into those and I think these candles are the perfect way! I like that the candles are clean-burning and made in the United States. 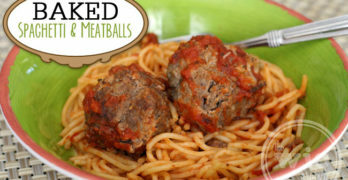 I love that they can eliminate cooking odors! These are very aesthetically-pleasing candles! I like that they use essential oils! I like that they are soy and eco friendly. I’m intrigued that these are for eliminating odors… we live in an old house that has kind of musty stale smells sometimes, it would be nice to get rid of that. 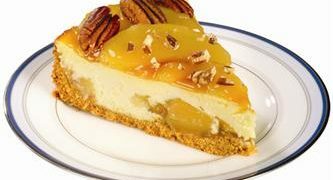 Love the fact that they are infused with essential oils!! Love they are made with essential oils. I have never tried these candles, but have always wanted to. I love that they use essential oils! I like the Valentine’s Set of 3: Sweet Pea, Creamy Vanilla, Cinnamon Pure Air. I like the wide variety of colorful and neat choices available. I love the DMO technology & that they burn cleaner. I’d love to get some of these. I love they use essential oils. We use them all the time. I like the sound of the scent, sounds clean and fresh, and it comes from a very trusted brand. I would love to win.. I love that the candles are infused with essential oils and that they burn clean !! I like the lemon scent. I like the Essential Oils Candle Geranium + Basil scent. I love that the scent lasts a long time, and the candle burn evenly. Thanks for the post and giveaway. I really like both the essential oil scents and the fact that they are clean-burning. I love the scents and the that the candles are clean burning! I like that they are clean burning. I love the grapefruit scent! I like that they have odor eliminating candles. I love that they also have wax warmers! I like the Rugged Collection. I like the ‘Rugged Collection”. It can be difficult to find candles that aren’t too feminine. I love the fact that they have lead free wicks.. They have tealights; the beach one is exquisite! I like that these candles are soy based and have lead free wicks. Thanks. I like that they have candles to wax warmers. I like the scents that they have. I like the really pretty and huge variety of holders the candles can come in. Thanks and God Bless! My favorite thing is the lovely scent! I just love anything involving candles! I love that these candles are infused with essential oils! I like that the David Oreck Candle company uses 100% natural, paraben free soy wax. Love the fact they are clean burning and eliminate odors instead of just covering up. I love that they are made of natural soy wax. It’s a healthier burn. I’d like to try the Pet Odor set. A small home with 8 dogs. I really like that the candles burn clean all the way down thanks to its natural formula. I like that they are clean burning and soy. I like that they burn a long time. I love that these candles use essential oils. The fresh scents are amazing! I love the fact that they are made with essential oils which will make the scent nice and strong from first use to the last use. I have never owned one but they sound like an awesome candle! I love how long they burn! I love they have essential moils in and burn clean. I love to eat grapefruits. I imagine I would love this candle as well. News to this site, still checking it out. I like that the candles are natural, poured from an exclusive vegetable and soy-based formula. I love all the unique scents. There are so many odor eliminating candles and I love essential oil candles as well. I love that they are infused with essential oils. I love the way oils are natural instead of artificial scents. 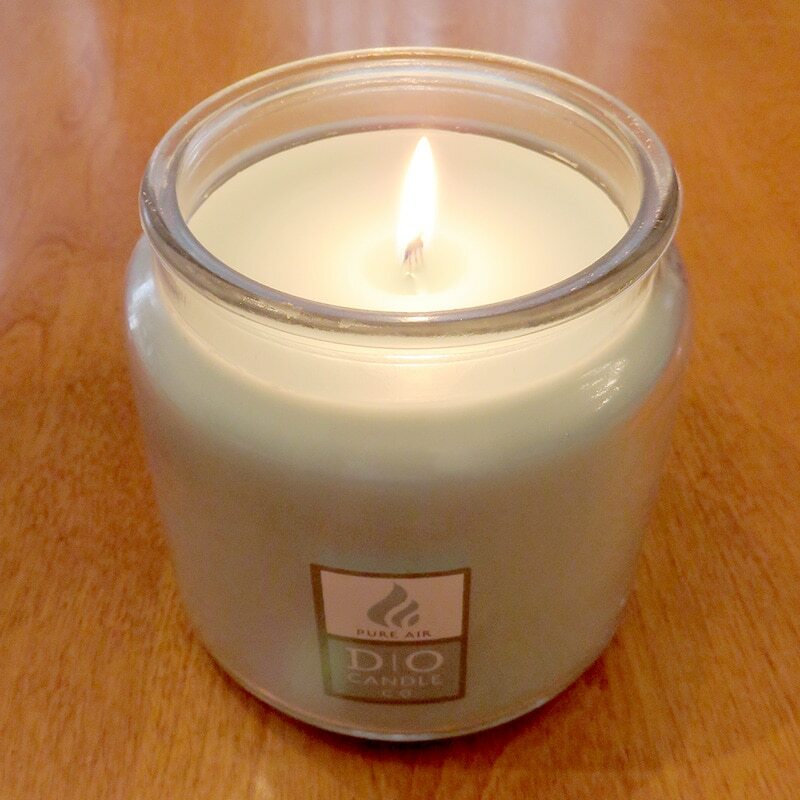 David Oreck candles burn clean and are infused with essential oils. I love the scents and that they help eliminate odors which I need with 3 dogs! I’ve never heard of David Oreck candles but I love candles ! I like that they look sleek and clean. Not all just bulky jars. I love that they are soy candles and also contain essential oils. I like that there is one for every room in the house. I like that the candles are all natural. I like the Pure Air Odor Eliminating Candles the most. Pure air Oder eliminator is exactly what we need in my home. I learned that they have candles that eliminate odors and do not just disguise them. I like the soot free burn! I like that they have a variety of items for sale on the site. Soot free candles are really important to me. Thanks for the chance. I have never used these candles but I love candles..but hearing all the comment I would love to try these candles that are infused with oils n burn smoothly.